ILMxLAB, Lucasfilm’s immersive entertainment division, officially unveiled the title of their highly anticipated virtual reality project, Vader Immortal: A Star Wars VR Series, at Oculus Connect 5 in San Jose, CA. The first episode of the three-part series is set to launch in 2019 on the newly announced Oculus Quest. Vicki Dobbs Beck, ILMxLAB Executive in Charge, and David S. Goyer, award-winning Writer and Executive Producer, joined together onstage for the surprise reveal. In addition to the official series title, they announced ILMxLAB’s collaboration with Oculus and gave a first look by sharing the official teaser trailer which closed out the livestreamed keynote. 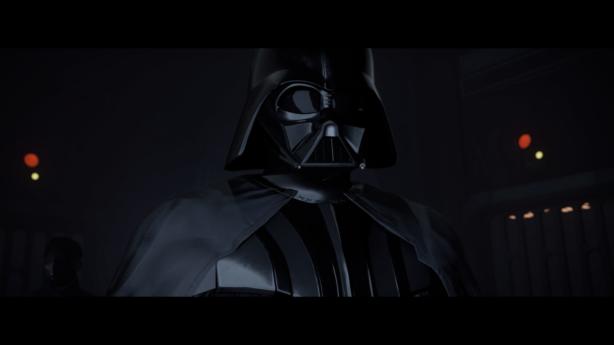 The series takes place between Star Wars – Episode III: Revenge of the Sith and Star Wars – Episode IV: A New Hope, and is connected to ILMxLAB and The VOID’s location-based hyper-reality experience Star Wars: Secrets of the Empire. For more information about ILMxLAB, visit their website at www.ILMxLAB.com.